The author, Francisco Javier López Frías, is Assistant Professor of Kinesiology, Pennsylvania State University. This article was originally published in The Conversation, an independent source of news and views from the academic and research community. From my perspective as a philosopher, the commercial raises the following questions: Why do we watch sports? And, what are the consequences of our reasons for supporting one team or another? The commercial’s suggestion of selecting a team based on one’s ancestral roots is certainly in line with one of the main reasons why people choose to root for a specific sports team or athlete. To shed light on this issue, sports philosophers such as Nicholas Dixon and Stephen Mumford, who have long dealt with questions about the nature of sports spectatorship, draw on the distinction between “purist” and “partisan” spectators. U.S. fans arrive at the stadium to attend a 2018 World Cup qualifying soccer match between the U.S. and Honduras in 2017. As these scholars explain, purist spectators follow sports for the love of the game, in particular, for the physical skills and virtuous character that teams and athletes display. Purists are attracted to good plays and excellent performances. Because the primary interest of purists is the game, they do not have strong allegiances with any participant or team. Instead, their allegiance varies depending on who exhibits the best style of play. On the other hand, partisans come to share a strong emotional connection with a team or individual athlete. Through such a connection, partisans regard sports as a proxy for both self-affirmation and collective pride. Sports is valuable to partisans because they consider the achievements of the player or team they root for as pertaining to them and their community. This is precisely where the Fox Sports and 23andMe commercial makes an emotional appeal. Do the fans affect the game and if so how? One of things scholars Nicholas Dixon and Stephen Mumford argue is that sports fans affect the game and different types of fans have different effect. A good example of the positive effect of playing “more beautifully” is the transformation Arsenal FC went through when Arsene Wenger became manager of the team. The club went from being one of the most boring ones in the English Premier League to becoming a team that most spectators praised and wanted to watch because of their style of play. Indeed, as many football specialists, sports commentators and academics argue, Wenger changed the Premier League by imposing his “purist” approach. With regard to partisan supporters, their positive influence on soccer comes from the fact that their unconditional support provides sports teams with long-term stability. The most powerful teams in soccer are those with a solid and wide spectator base. Having spectators that maintain their allegiance to the team regardless of its performance is crucial to keep such a base. A good example of the nature and positive influence of partisan supporters is that of the English team Wimbledon FC, or the “Dons.” Formed in 1889, Wimbledon has had a solid fan base. However, in 2003, the team was relocated from South London, 56 miles north, to Milton Keynes and “renamed Milton Keynes Dons.” After the relocation, the team lost a substantial part of its fan base, who created their own local club, AFC Wimbledon. Last season, attendance at the AFC Wimbledon stadium, in Kingsmeadow, was high, whereas that at the Milton Keynes Dons stadium, Stadium MK, was low. Indeed, despite joining the English competitive football system six tiers below the Milton Keynes Dons, Wimbledon have already escalated to a division higher than theirs. On the negative side, because social identity and reputation are at stake for partisan fans, they often develop a “win-at-all-cost” mentality, which lowers the standards by which their teams’ performance is evaluated. Partisans, in other words, prefer victory over good play; what matters to them is winning and proving one’s superiority over the opponent. This attitude is illustrated in best-selling author Nick Hornby’s book “Fever Pitch.” He said: “The way our team plays is beside the point for most of us.” As Eric Simons, author of “The Secret Lives of Sports Fans: The Science of Sports Obsession,” argues, by drawing on psychological studies on sport supporters’ behavior, “A sports team is an expression of a fan’s sense of self … (it) is an expansion of a fan’s sense of self.” Thus, victories and defeats of one’s team are regarded as personal successes and failures. Which team will you cheer for this World Cup? 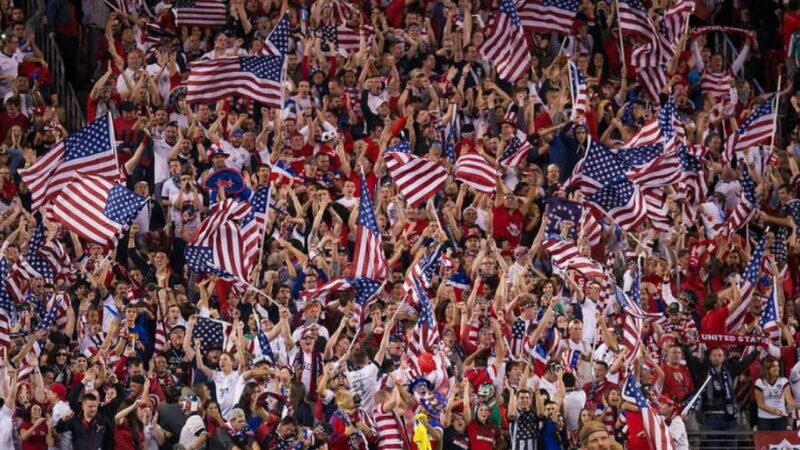 So, coming back to what teams American soccer fans should support in the 2018 World Cup, I would say they have two possibilities. Either they pick the team that best represents their ancestral roots, or they pick the team that best embodies the excellence of soccer. My question to fans is this: Given that the attitude of both types can affect the game, which would be most beneficial to the development of American soccer?